of my computer processing, and get DAP premium at 50% discount. 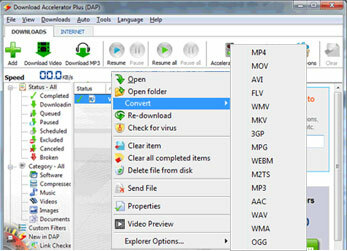 Convert your video files to MP3, MOV, AVI, WAV or any other format. Easily convert YouTube and other web videos to any music or audio format with just one click. Get the fastest conversion speed. Converting your video files is absoutely FREE. The fastest Download Manager with the richest set of downloading tools. Know if the file you downloaded is safe before you open it! Store and Send files up to 2GB - Fast and free! Common connection (without DAP) - Data is delivered via one channel and from one source only. Downloading data with DAP – Data is delivered in multi-channels and from several parallel sources. Moving mission-critical applications into the cloud is a challenge especially with regard to maintaining speed and application response time as well as available bandwidth. An in-house application is usually controlled and managed by the enterprise IT department who can work on improving its performance. Such involvement is not available once an application is moved into the cloud. The enterprise IT department has little control over the network conditions at the cloud provider's hosted data center. This lack of control is an important issue which becomes more critical with cloud providers because of the nature of dynamic provisioning. There’s no guarantee that another cloud customer on the same LAN won’t be pushing massive amounts of application traffic over the LAN all at once. E.g. when malicious customers have used the flexibility and limitless computing power of the cloud to launch denial-of-service attacks. To address these challenges, focusing on application acceleration, rather than network acceleration, is important with cloud-based application deployments. 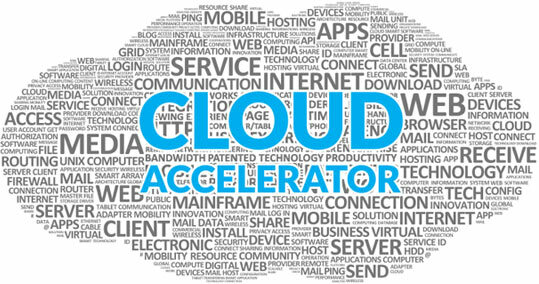 In the data center, IT can configure SPEEDbit Cloud Accelerator for applications that are about to move to the cloud and then provision another Speedbit Cloud Accelerator with the "user" of the application, be it a branch office, a different data center, an employee device or any type of user for which fast performance of the cloud app is required.